Strong Stuff! 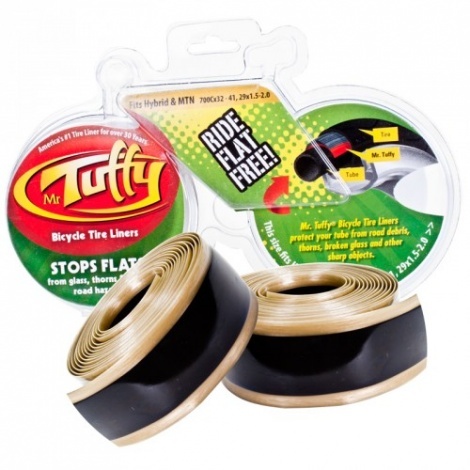 - Made of durable, lightweight urethane, Mr. Tuffy provides a protective layer between the outer tyre and inner tube. Urethane has a property which makes it very elastic. When a thorn or piece of glass attempts to penetrate the Mr. Tuffy liner it comes up against a surface that is both hard and elastic. The object pushes against the surface which gives way while resisting initial penetration.